With the CEREC® in-office milling system, our cosmetic dentist and the team at Thompson Center for Dentistry can create and place a permanent, custom dental crown in a single office visit. CEREC® allows us to provide these exceptional restorations in a more convenient and efficient way! When performed by a skilled and experienced dentist, there are virtually no disadvantages associated with CEREC® crowns, The final restoration can look and function just like a natural tooth! Porcelain dental crowns are typically necessary for teeth that are heavily damaged or decayed. They also serve as the finishing touches for root canal therapy and dental implants. A dental crown is designed to look, feel, and function like a natural tooth while protecting the original tooth and enhancing its structural durability. Dental crowns are custom-designed restorations that cover the entire tooth. They are often composed of a durable porcelain material and are precisely made to provide the most natural and comfortable fit possible. Custom dental crowns are color-matched to surrounding teeth to provide a seamless blend and are permanently affixed to the affected tooth. CEREC® is a state-of-the-art milling technology that can produce custom dental crowns directly at the dentist’s office. The system is comprised of 3-D imaging software that creates a precise digital model of the crown, then creates the restoration based on those exact specifications. The onsite milling technology is capable of producing dental crowns in a process that is often more convenient for patients since they can typically be modeled, produced, and placed in just one office visit. One of the most unique aspects of CEREC® crowns is its ability to make the entire treatment process more convenient and precise for patients when compared to traditional techniques. Before CEREC®, crown procedures typically required patients to undergo a cumbersome dental impression process to create a mold for the restoration. Then, the mold would go to an offsite dental laboratory for the creation of the permanent crown. Finally, the crown would be delivered to the dentist’s office and placed on the tooth. This process often required numerous office visits spaced over a period of weeks. CEREC® has changed all of that! Basically, CEREC® Same-Day Crowns brings the dental laboratory to you. The advanced milling technology resides at our office, minimizing the time necessary for treatment. Plus, the experience is often more comfortable since CEREC® utilizes digital dental impressions, which also makes it possible to achieve more precise results from the impression. In addition, the computerized model for the crown can be shown to you on a monitor, enabling you to see how it will look before it’s made. Ultimately, CEREC® crowns allow many patients to receive accurate, natural-looking, and permanent dental restorations in a single office visit. Who is a good candidate for CEREC® dental crowns? Most individuals who require a dental crown for a damaged tooth or as part of a dental bridge, root canal, or dental implant procedure are candidates for CEREC® same-day crowns. During your consultation, our dentist will evaluate your needs and decide whether a CEREC® restoration is the ideal treatment option. Once our dentist has performed an oral examination and determined that a dental crown is best for your needs, an impression of the affected tooth will be taken. This serves as the foundation from which the crown will be designed on a computer. Our dentist will ensure that the customized crown is crafted to provide results that look and feel like a natural tooth. The CEREC® milling system will then manufacture the crown, and it will be delicately placed on the tooth with a durable dental cement. After a final polish, the treatment process is complete. With the proper care, dental crowns can continue reinforcing your teeth and enhancing the appearance of your smile for decades! For many individuals, CEREC® dental crowns can last for decades. Our CEREC® dental crowns are made of an extremely durable porcelain material and are securely bonded to the teeth, which helps these restorative options last years into the future. With that in mind, the longevity of results is also dependent on how well the crowns are cared for over time. In addition to maintaining good oral hygiene routines and visiting the dentist for routine check-ups and cleanings, it is important to take certain precautions when it comes to dental crowns. Patients should try to avoid using the crown to bite down on hard foods, and individuals who are prone to clenching and grinding their teeth while sleeping may want to consider a nightguard. Customized nightguards can help prevent the teeth from grating against each other and causing premature wear-and-tear, limiting the possibility that the crown will break. The total price of CEREC® crown procedures is dependent on the individual patient’s unique treatment plan. Since CEREC® crowns are developed and created right here at our practice, dental laboratory fees and a temporary restoration are typically unnecessary. During your initial consultation, our dentist will create a customized treatment plan. A member of our team will then produce an overall cost estimate and talk with you about payment options. We will be happy to answer your questions and assist you with finding the most convenient way to pay for your treatment. How do I choose the right CEREC® doctor? Achieving the best possible results from CEREC® dental crowns is only possible through a combination of the technology itself and the skills of your CEREC® dentist. Therefore, it’s important to know what to look for as you consider the dentist you will entrust with your care. It’s always good to inquire about your prospective dentist’s experience with CEREC® technology. Do they have the requisite training and education necessary to properly utilize the CEREC® milling system? 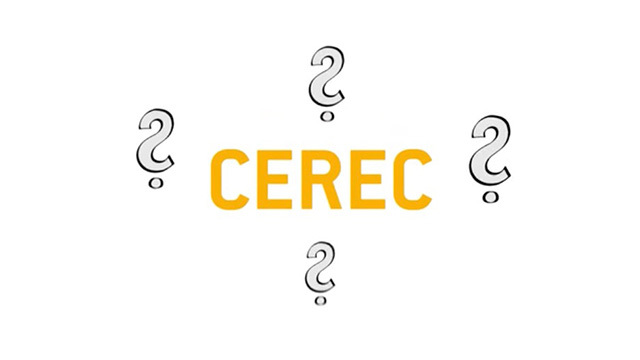 How many years has the dentist been performing CEREC® restoration procedures? Getting a general idea of the dentist’s background with CEREC® can help you ascertain whether they have the skills necessary to provide optimal results with this state-of-the-art technology. Dr. Uyen Thompson has performed numerous CEREC® dental crown procedures and has the skills necessary to create precise, natural-looking results. If you would like to learn more about CEREC® dental crowns and why Thompson Center for Dentistry is the right choice for your dental needs, please contact us today. We will be happy to answer any questions you may have, or assist you with scheduling an appointment.